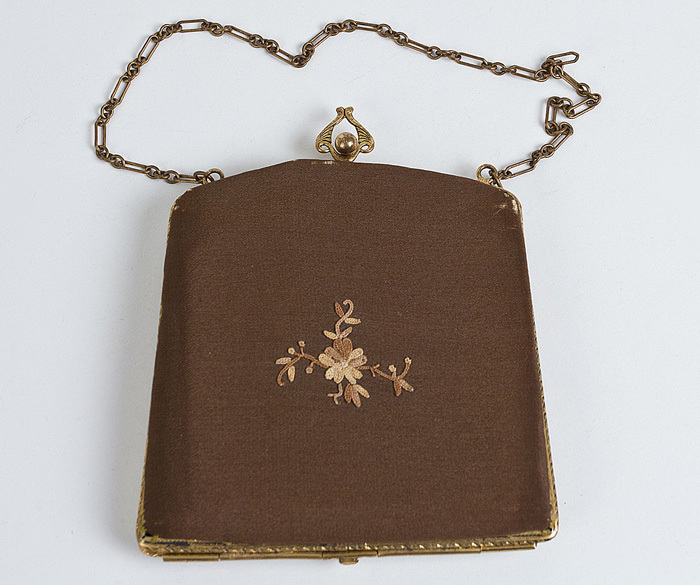 This charming little bag features a petit point floral decoration on one side. 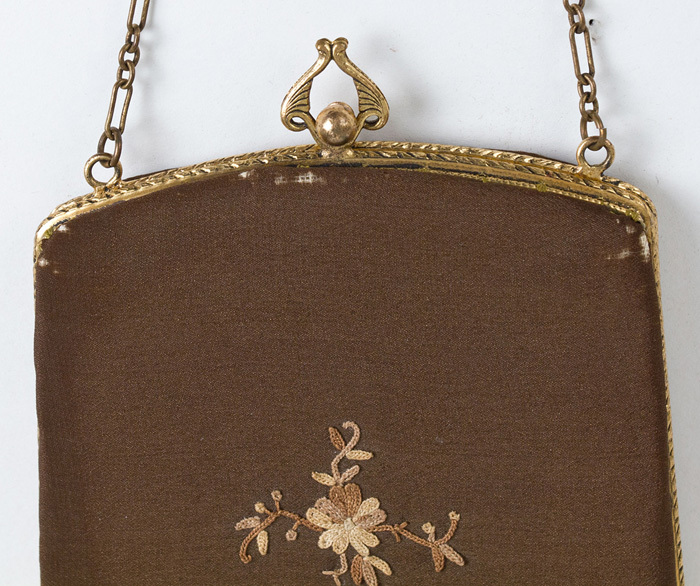 It has a gold tone metal frame, clasp, and chain link handle. 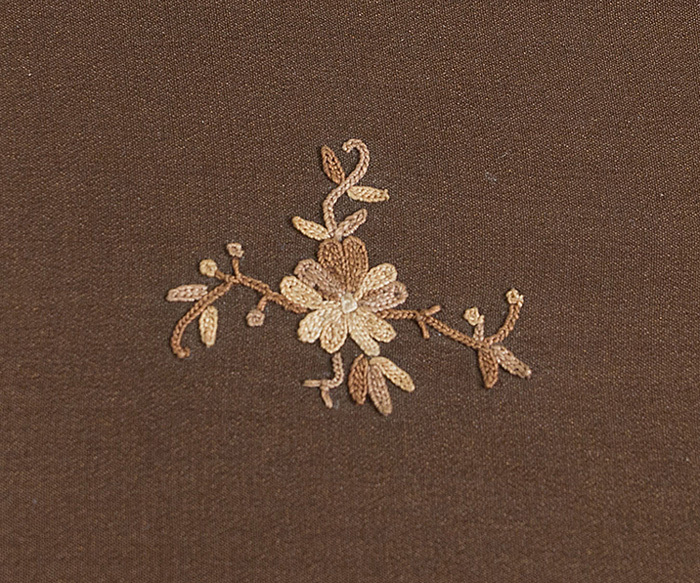 With brown silk faille on the exterior, the bag is lined with mocha silk faille. 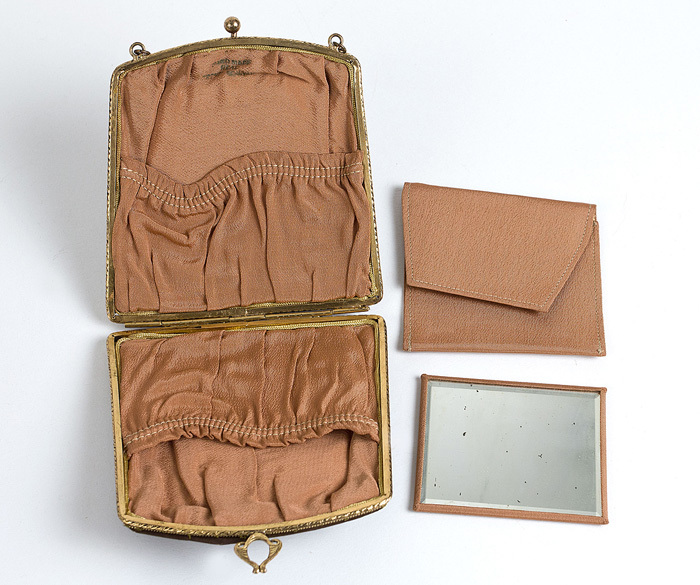 The interior has two pockets and a mirror with case. The name of the maker is stamped on the lining, but I can't make it out. You may do better with a high-powered magnifying glass. The condition is very good. The silk is slightly worn along the upper edges. This is reflected in the price. It measures 4 1/2" tall and wide.